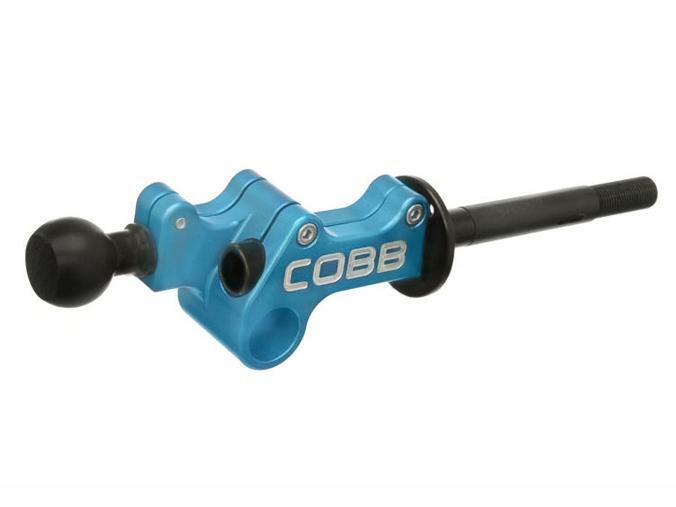 COBB Tuning Short Throw Shifter - Pann Auto Performance - San Diego largest aftermarket automotive performance parts - What do you drive? Constructed of billet aluminum, and anodized a vibrant COBB blue. Utilizing the highest quality components, the shifter retains full reverse lockout functionality, as well as delivers customizable shift knob height and throw potential. The unit is compatible with the factory shift knob as well as any aftermarket knobs that are modeled after stock.